Originally from San Antonio, TX, Alex joined the U.S. Navy after graduating high school. For six-and-a-half years he maintained F/A- 18 C/D models. Alex went to A&P School at San Joaquin Valley College in Fresno, Ca graduating with Associate of Science degree and was prepared to test for an Airframe and Power-plant license through the FAA. Alex received his license in February 2001 and started working for Mesa Airlines in Fresno, CA continuing his career for a Part 135 Charter Operator our of Bakersfield, CA as a mechanic earning his way to the Director of Maintenance. Alex received my Inspection Authorization in January 2009. Alex currently works for a Part 145 Repair Station, Crown Air Aviation in San Diego, CA as the Turbine Maintenance Manager. Alex has experience working on King Air, Cheyenne, Citations, Conquests, Canadian Regional Jets, Barons and Bonanzas. The one thing in life that Alex learned from his parents and the military is to always be determined to succeed in life "The only way to achieve success is through hard work and never giving up. Never be satisfied with what you did today - do it even better tomorrow." 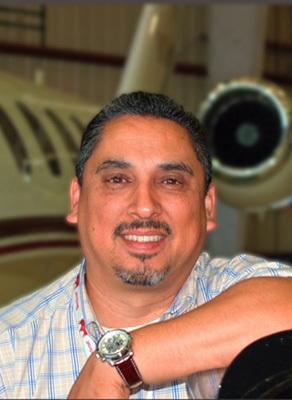 Alfredo Garcia has been in the aviation industry for nearly 20 years. 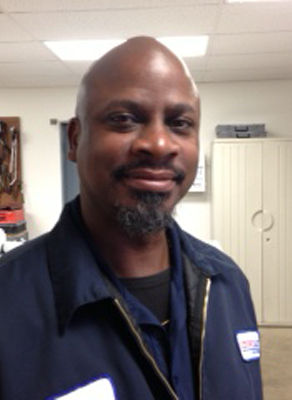 In 1994, he began his career working as an A&P Mechanic for Garrett Aviation LAX, until 2003 when he accepted a position as Sales Supervisor for the Long Beach Citation Service Center. At Citation he was able to cultivate and maintain customer relationships throughout the southwestern United States, while also developing a strong customer base for Mexican and Canadian Cessna Operators. In 2009, he was granted the Regional Sales Manager position for Mesa Citation Service Center, whereby he continued to maintain his relationships in Southern California, Canada and Mexico, while also overseeing two teams of mobile service crews in Southern California. In 2012, he had a small stint as Senior Customer Project Manager for Standard Aero-LAX before accepting the position as Sales Manager for West Coast Aircraft Maintenance. In less than a year at WCAM, he was instrumental in adding Mexican DGAC Authorization and JSSI Service Center Authorization as well as other partnerships. In July 2013, Alfredo accepted the position of the General Manager and FAA Accountable Manager for West Coast Aviation Services FAR 145 operations. “After attending several SCAA conferences and meetings, I have seen what this association can do for the aviation community not only in Southern California but all over the U.S. and beyond. I've been in a very rewarding career for over 20 yrs and I feel that being involved in the SCAA can be a very satisfying and rewarding experience at this stage in my career,” said Alfredo Garcia. I started my career in the USAF working on C-130’s. When I left the Air Force, I held a multiple of different position within aviation including: installing avionics and bench repair of avionics such as Distance Measuring Equipment, VOR’s, Transponders, Weather Radar and VHF Comms. I learned a lot during that time frame which really broadened my knowledge of how a business survived and how decisions were made regarding staffing, capital equipment purchases, marketing, sales and working with other departments at an FBO. At the same time I was learning FAA regulations and how they affected our business. I worked in management until 1986 and then pursued being a partner in a business in Southern California. I did that for 5 years before moving on to Allied Signal in 1995 where I learned how to be in sales for a major manufacturer, working trade shows and doing product training for flight departments. I have done this for the past 20 years and it has been the most rewarding part of my career. I now work for Aircell and we have changed the way the people use their time while flying to their destinations. The company had 39 employees when I started and now has over 800. I love giving back to the industry that has provided me with a living and rewarded me with the satisfaction of improving traveler’s lives and being able to guide other people through the hurdles to be successful in an aviation career.